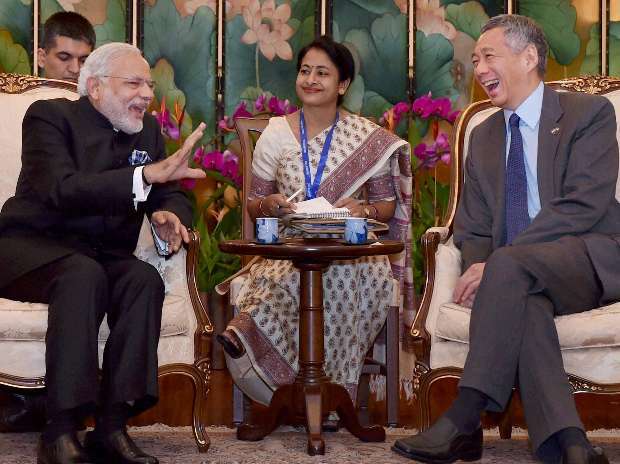 Prime Minister Narendra Modi with his Singapore counterpart Lee Hsien Loong during a meeting in Singapore. 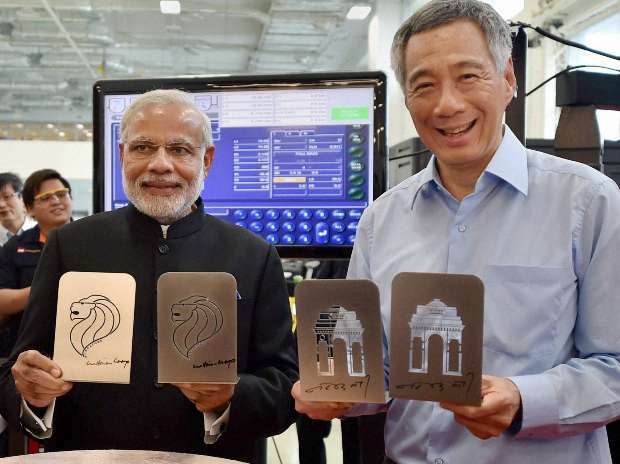 Prime Minister Narendra Modi with his Singaporean counterpart Lee Hsien Loong visit the central campus of Institute of Technical Education (ITE) in Singapore. 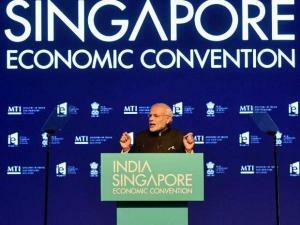 Prime Minister Narendra Modi addresses during the India-Singapore Economic Convention in Singapore. 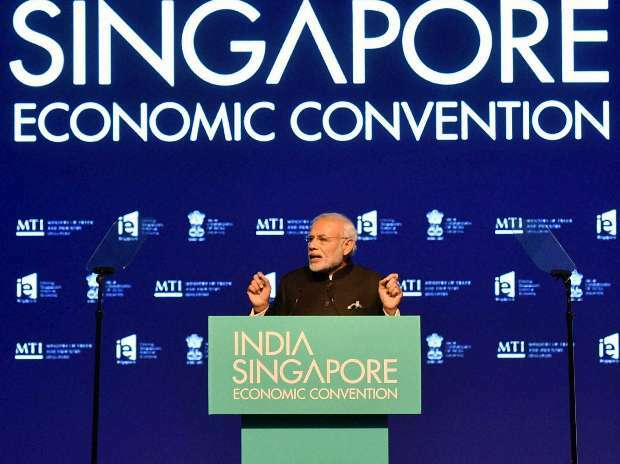 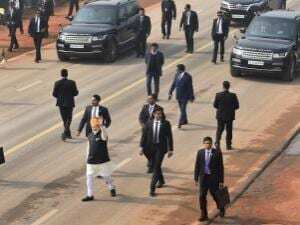 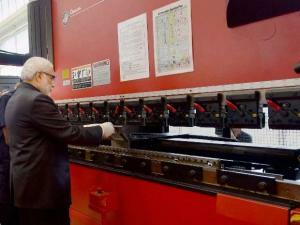 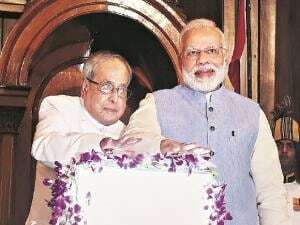 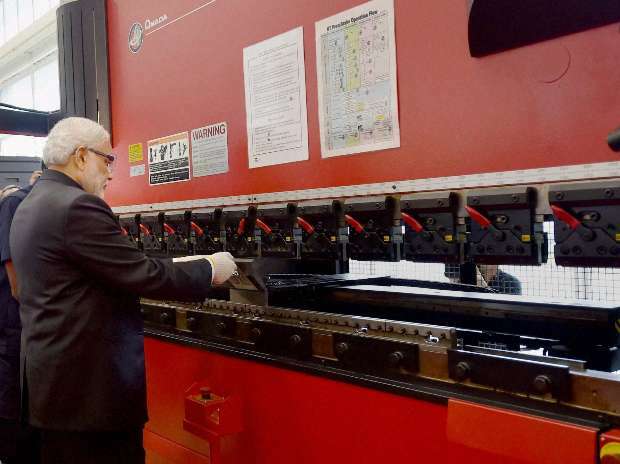 Prime Minister Narendra Modi during his visit to the central campus of Institute of Technical Education (ITE) in Singapore. 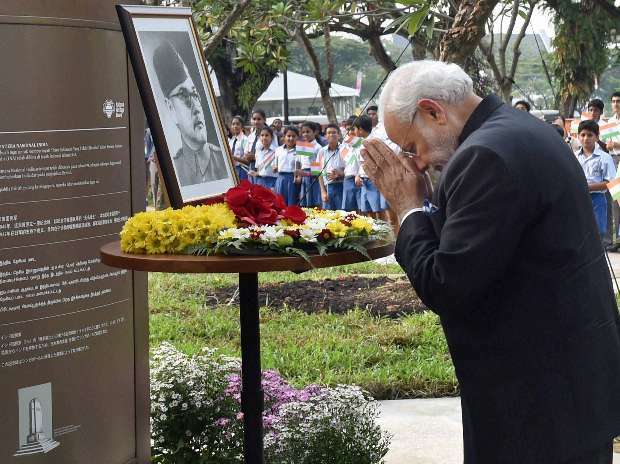 Prime Minister Narendra Modi pays homage at the memorial of Indian National Army in Singapore. 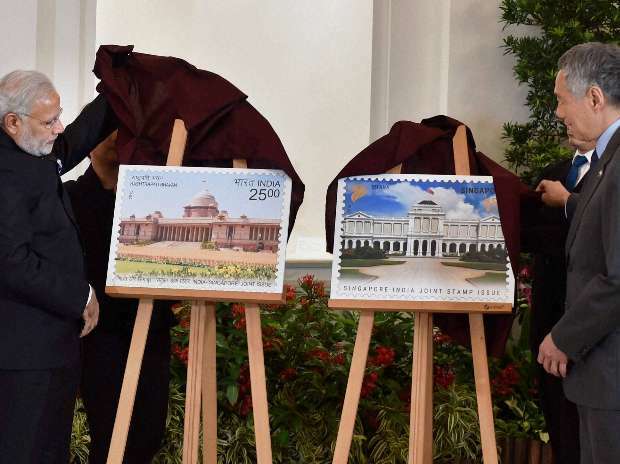 Prime Minister Narendra Modi shakes hand with his Singapore counterpart Lee Hsien Loong after release postal stamp after signing agreement in Singapore. 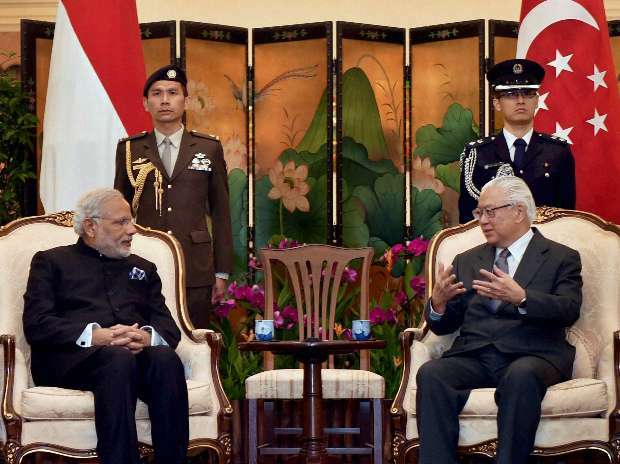 Prime Minister Narendra Modi with the President of Singapore Tony Tan Keng Yam during a meeting in Singapore. 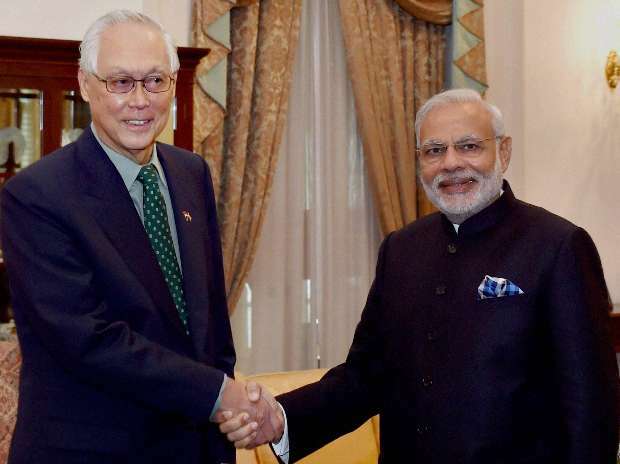 Prime Minister Narendra Modi shakes hand with Emeritus Senior Minister, Goh Chok Tong during a meeting in Singapore. 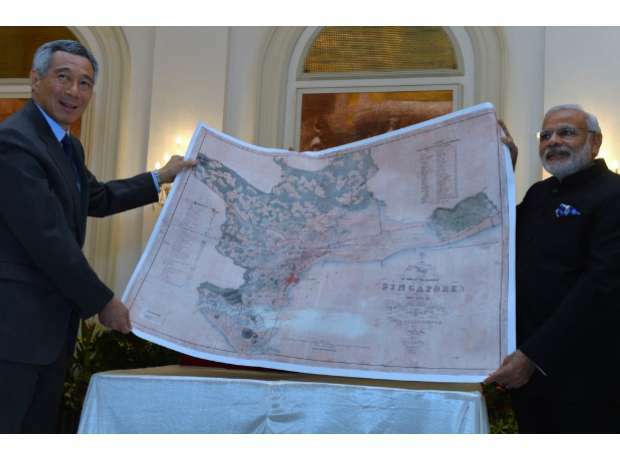 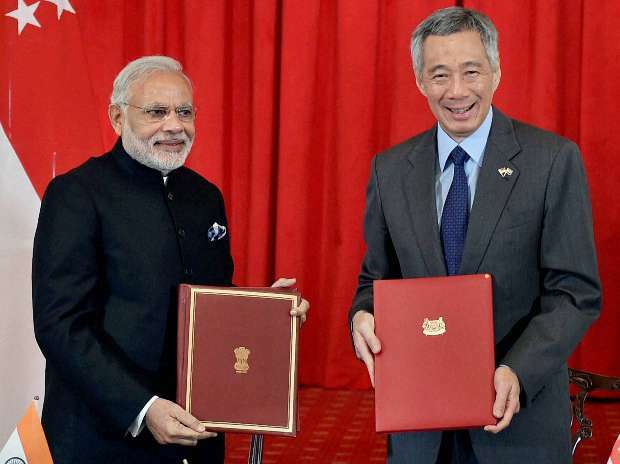 Prime Minister Narendra Modi with his Singapore counterpart Lee Hsien Loong after signing agreements in Singapore.